To show our appreciation for past and present Off Centre Students, we've created a series of events just for you. Off Centre DJ Student Night is a chance to chat with other students and staff, share music, hang with music industry guests and demo new music technology, all in our comfortable studio environment. Live DJ Set: Are you a student (past or present) interested in doing a live mix for one of our future student nights? BYOBeats: A chance to play your raw loops or polished beats in front of a supportive audience. BYOBeats is for past and present students that want an extra ear on their beats. The Artist Podium: If you are a Musician, Producer, DJ or mutation of all three, we want you to come out and share ideas with other likeminded artists. The Off Centre Artist Podium will be a forum for artists of all musical disciplines to come forward and share their expertise on a variety of subject matter related to music. From DJ techniques to production tips, the Artist Podium is for any artist with something to share. 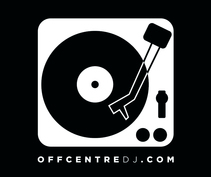 To take part in any of the above email lessons@offcentredj.com with the subject line "Student Night Feature", your name and a little about what you would like to share.